As from many days before you all must be waiting for this most awaited update of Windows 10 come out. As this update is available on every old window and is totally free of cost for current running version that are Windows 7, 8 or 8.1 which can now Download the latest Version Of Windows 10. As we all know this windows is the last version of windows by Microsoft and its seems that this will be the best one. So today I’ll tell you the basic and important requirement of latest released window, Window 10. 1. Latest OS: First and main requirement is that you are running in the latest version of both Windows 7 SP1 or Windows 8.1 Update. You must need to download the latest version of Windows 7 SP1 or Windows 8.1 Update. 2. Processor: 1 GHz or faster processor or SoC (64-bit versions of Windows 10 require a processor that supports PrefetchW, CMPXCHG16b and LAHF/SAHF capabilities). 7. Touch: For multi-touch support tablet or Windows device. 8. Microsoft account: Required for some features. 9. Cortana support: Only supported in the US, UK, China, Italy, Germany, France and Spain. 10. Wi-Fi Direct Printing: Supported Wifi Router to access services. 11. BitLocker: Windows 10 Pro or Enterprise, TPM 2.zero or a USB flash drive, Trusted Platform Module (TPM) 1.2. 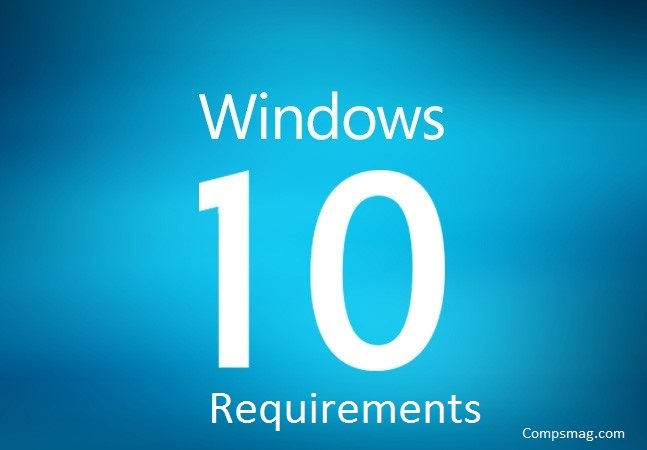 So above is all about Windows 10 requirements. Hope you like it so please don’t forget to share this post with friends & others.